Omagh St. Enda’s senior ladies have secured seven points from nine in just eight days as their unbeaten record continued in division two of the Tyrone League on Sunday morning following a comprehensive 2-15 to 0-9 win against Kildress. The hectic schedule of three games in just over a week started on Saturday week with a 1-15 to 0-7 win on the Loughshore against Ardboe. Orlagh McNamee rattled in the goal as Omagh avenged last year’s championship exit in style. Cara McCrossan top scored with 0-6. Omagh looked out of sorts, however, against a determined Aghyaran on Tuesday night last, the home St Davog’s side had their homework done and were unlucky to only secure a share of the spoils in a 1-7 apiece draw. 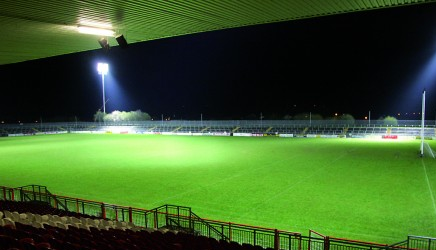 Omagh hit the crossbar five times and hit 14 wides in an entertaining tie. The visit of Kildress to St Patrick’s Park on Sunday morning wrapped up a busy few days and saw Omagh remain in the driving seat at the top of the table with a 2-15 to 0-9 win. Shauna Brown found the net twice as seven other players got on the scoresheet in very hot conditions. 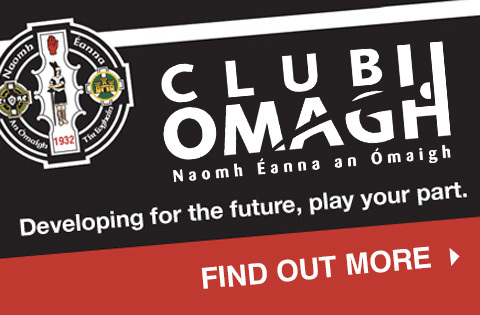 It was 1-8 to 0-5 at the break as the dreaded crossbar was rattled twice again, but Omagh upped the tempo in the second half and sealed the win that keeps the St Enda’s girls in pole position with games against Clan Na Gael and Donaghmore to play – and of course the championship against Aghyaran.